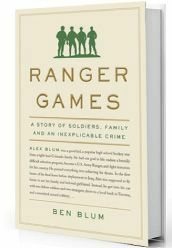 Blum proves a “remarkably empathetic” amateur investigator, said Nancy Rommelmann in The Wall Street Journal. He captures vividly how several lives were wrecked by the crime, and he pins much of the blame on the mastermind, 20-year-old Luke Elliott Sommer. Sommer initially impressed Blum by admitting his guilt, and by claiming the robbery was an attempt to call attention to atrocities he’d witnessed while serving overseas. Before long, though, Blum concludes that Sommer is a psychopath, a person who delights in manipulating others.